William Meredith, from Reasons for Poetry & Reasons for Criticism. Washington: Library of Congress, 1982. The Mexican poet José Emilio Pacheco, in a poem called “Dissertation on Poetic Propriety,” asks for “a new definition. . . a name, some term or other. . . to avoid the astonishment and rages of those who say, so reasonably, looking at a poem: ‘Now this is not poetry. '” I too want to argue for a broader definition of poetry, a definition which will increase our sense of the multitudes that poetry contains. For those of us who care about poetry in this time of widely diverging definitions are apt to be consciously limited in our tastes, and churlish in our distastes. We often have more precise ideas, based on these distastes, about what poetry is not than about what it is. If I cannot come up with the new definition Pacheco asks for, what I say is at least intended to turn aside the easy negative response in myself and in others to poems which are not immediately congenial. For whenever we say, “Now this is not poetry,” we are adding to the disuse of all poetry. Perhaps the most useful definition, in fact, would begin with a statement about expectation: the expectation with which a reader engages a poem, and the reasons for which a poet may have undertaken the poem, and the possible discrepancy between these two. We have all had the experience of fighting a work of art because it was not doing what we were asking of it. John Ashbery said in an interview: “My feeling is that a poem that communicates something that’s already known to the reader is not really communicating anything to him and in fact shows a lack of respect for him.” Since what is communicated in a work of art is also how it is communicated, a false expectation is almost certain to produce a false reading. And often we confirm this by the happy surprise that comes when a work we had been defeated by suddenly opens itself to us–we find that it performs very well the job of work which was its reason, once we stop asking it to perform some other service which was no part of its intention. As readers, we remain in the nursery stage as long as we cannot distinguish between taste and judgment, so long, that is, as the only possible verdicts we can pass on a book are two: this I like, this I don’t like. For an adult reader, the possible verdicts are five; I can see this is good and I like it; I can see this is good but I don’t like it; I can see this is good and, though at present I don’t like it, I believe that with perseverance I shall come to like it; I can see this is trash but I like it; I can see this is trash and I don’t like it. My argument is that we should use the third option as often as possible, when the first response is not spontaneous with us. When we can’t say of a poem, especially of a poem that comes recommended, I can see this is good and I like it, we owe it to ourselves and the poem to try to say, I can see this is good, and though at present I don’t like it, I believe that with perseverance, et cetera. Poems seem to come into being for various and distinct reasons. These vary from poem to poem and from poet to poet. The reason for a poem is apt to be one of the revelations attendant on its making. No surprise in the writer, no surprise in the reader, Frost said. The reason for a new poem is, in some essential, a new reason. This is why poets, in the large Greek sense of makers, are crucial to a culture. They respond newly, but in the familiar tribal experience of language, to what new thing befalls the tribe. I shall have some comments to make here about three generic reasons for which poems seem to come into being, but even within these genera, the occasion of a poem is always a new thing under the sun. Here I want to posit three roles a poem may take, and to suggest that one of these roles accounts for the stance a poem takes. I offer these three stances not to head off the proper surprise of a new poem but as an exercise in resilience, the way you might strengthen your eyesight by looking at objects near, middling, and far in regular succession. I think of them, as three reasons for poetry, identifiable genetically with the DNA impulse which starts a poem growing. The reason behind a poem shapes its growth and determines the way it is delivered. To stretch the metaphor further, it determines how the poem is to be picked up and spanked into breath by the reader. If every poem is new, it is also associated in its own mind, and ideally in the reader’s, with other poems of its species. Poems hold one another in place in our minds, Robert Frost said, the way the stars hold one another in place in the firmament. The poet as dissident. Underlying poems conceived by the poet as dissident is a social criticism, whether of a tyranny, like George III’s or Stalin’s, of an abuse, like nuclear pollution, or of a system, like capitalism. As an activist poet, the dissident is likely to be formally radical, since the large metaphor of his work is revolution, but not necessarily. The poet as apologist. Underlying poems conceived by the poet as apologist is acceptance or approval of the human and social predicament of his tribe. However much the poem may focus on errors or imperfections in its subject, there is implied an order or decorum in the model. 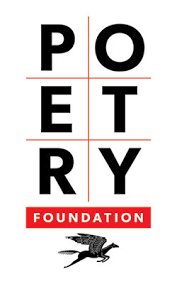 Often the poem’s mode is praise, overt or implicit, of the specific subject or of the human condition. Every work of art, the Christian apologist W. H. Auden said, is by its formal nature a gesture of astonishment at that greatest of miracles, the principle of order in the universe. The poet as apologist is apt to have a pronounced sense of form, but not necessarily. If a poet feels, on the other hand (to quote an easygoing character in one of my own poems), that the human predicament “is just a good bind to be in,” the poem should be read as an occasional poem, occasioned by some instance–however flawed or imperfect–of an existing order. An apologist poem aspires to be a celebration. If a poet thinks of himself only as a man or woman speaking to men and women, the poem should be read simply as poem. A solitary’s poem is a message written on one person’s clean slate to be copied on another person’s clean slate as an exercise in person-hood. A solitary poem wants to become a little universe or a charade.